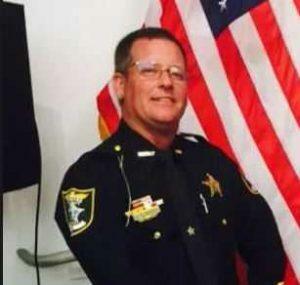 FORT MYERS, Fla. -- A sheriff's deputy who was beaten on a Florida interstate more than a year ago has died. CBS Fort Meyers affiliate WINK-TV reports Cape Coral police found 48-year-old Lee County Deputy Dean Bardes dead in his home Tuesday. Police say no foul play is suspected in Bardes' death. A cause of death hasn't been released. Authorities said that in November 2016, Bardes was confronted and slammed to the ground by 53-year-old Edward Strother after a pursuit. A man who police have described as a good Samaritan, Ashad Russell, shot and killed Strother. Russell wasn't charged in the shooting. WINK says Bardes was working a crash when Strother, 53, drove past him, nearly running him over. Following the high-speed chase, Strother rushed Bardes and slammed him to the ground after both men left their vehicles. According to WINK, Russell, who was passing by, had a Concealed Weapons License and noticed the fight. He got out of his vehicle and told Strother he'd shoot him if he didn't stop beating the deputy. When Strother didn't, Russell shot him three times, killing him. Bardes was taken to a hospital and later recovered from physical injuries. Lee County Sheriff's Office spokesman Tony Schall said Bardes had served for 14 years "with honor and dignity."